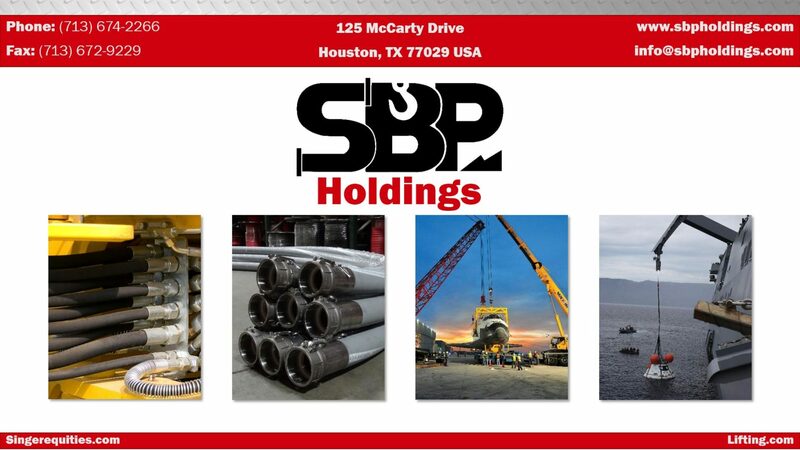 SBP is a group of value added distributorships in the industrial rubber, wire rope, rigging products and fluid power industries. Our primary objective is the acquisition of well managed, profitable businesses where operating changes are not necessary. We believe that good companies are the result of good management and our philosophy is to allow management to operate the businesses on a stand alone, decentralized basis, affording them a tremendous level of responsibility, authority, and autonomy. It is not our intention to change the culture of an acquired company, but rather allow current management to continue doing what they do best, manage a successful business. Our goal is for our management teams to focus on growing their businesses, and not to be concerned with positioning their companies for an eventual exit strategy. Our day-to-day involvement is minimal, with our purpose being to provide management with the resources they need to enhance the long term growth of their business. SBP is a portfolio company of AEA Investors, a leading private equity firm headquartered in New York. AEA investors is a pioneer in the private equity industry, having been founded in 1968 by the Rockefeller, Mellon and Harriman family interests and S.G. Warburg & Co. With over 40 years of investing experience, AEA has a global presence with offices throughout Europe and Asia.